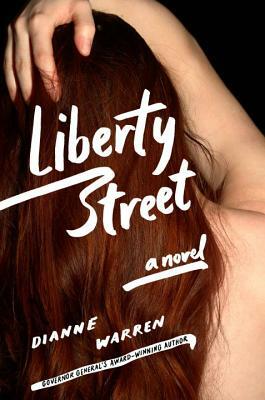 Marian Wood Books/Putnam, 9780399158018, 384pp. A deeply affecting novel about the truths we avoid and the bad choices that come back to haunt us. Gridlocked in the churchyard of a small Irish town, the traffic frozen in place for a funeral, Frances Moon pauses long enough to make a confession to Ian, her partner of nearly twenty years. The next morning, she finds he has left her. Unsure what else to do, Frances sets out for Elliot, the small town in western Canada where she grew up. As the perspective shifts backward, cruel students and unsympathetic teachers await a young Frances beyond the borders of her family’s quiet farm. Curious, imaginative, and lost, she finds comfort in two outsiders, the troubled local boy, Dooley Sullivan, and a decorated Native American World War Two veteran named Silas Chance. But ever present, splitting the narrative apart, is a small town that will close ranks, turning a blind eye when one of them is killed. The crime, itself, and the denial that follows, takes both Silas and Dooley from Frances in different ways. By high school, she’s become the girl most likely to disappoint, and at eighteen is already headed toward a disastrous marriage. Even after she shakes off the dust of the town and flees her husband, even as she builds a new life, she buries her past so deeply that she believes she has lost it. Until one day in an Irish churchyard, it all comes sweeping back. And so begins an unforgettable novel of lost souls and second acts. Dianne Warren’s first novel, Juliet in August (Cool Water in Canada) was long-listed for the Giller Prize and won the prestigious Governor General’s Award in 2010. In 2004, a volume of her short fiction won the Marian Engel Award, given by the Writers’ Trust of Canada. Warren has lived in Regina in the province of Saskatchewan for most of her life.